Ankara’s crackdown on critical media points to the Turkish President wanting to turn the country into a “kind of Ottoman Empire,” former US diplomat Jim Jatras told RT. The West is silent on the matter as it is afraid of his aggressive behavior, he said. The Turkish government has blocked access to the Turkish-language version of Russia's Sputnik news agency website. According to Sputnik's bureau chief in Turkey, no prior warning was given to the agency by the Turkish authorities. 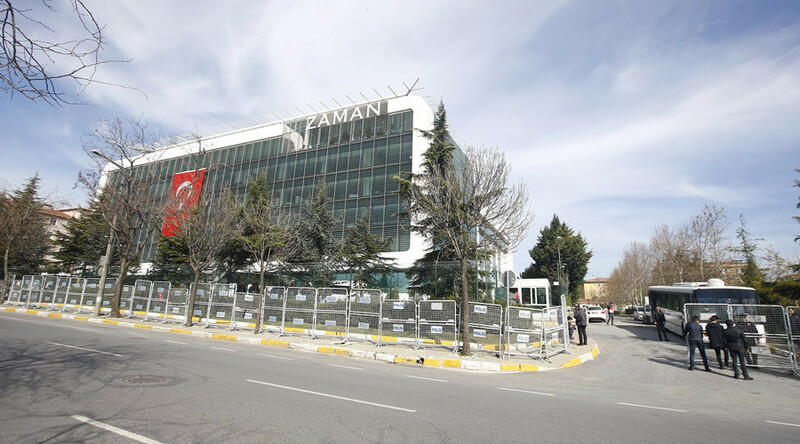 The administration under President Erdogan has struck down on a number of Turkish media outlets critical of the government, such as Today’s Zaman newspaper whose office was raided in March. RT: How would you describe the situation regarding freedom of the press in Turkey? Jim Jatras: Obviously, it’s going downhill very quickly. We’ve seen the takeover of newspapers that have been reporting truthful information about the Turkish government’s relationship with ISIS and other terrorist groups within Syria. I think it’s pretty clear that Mr. Erdogan is busily turning Turkey into a police state, even if he stokes what is approaching a civil war atmosphere within his country. There’s a flip-side of this, too, and that is that there’s a double standard I think when it comes to Russia and the Russian media, that if this were being done to a Western outlet, there would be an outcry, but because it’s Sputnik, and because it’s Russian, the same standard doesn’t seem to apply. — RT (@RT_com) 14 апреля 2016 г.
RT: Is Turkey becoming a more authoritarian state? JJ: Yes, it is. Let’s be honest, under Kemalism, the secular ideology that ruled Turkey for many years it wasn’t a fully democratic state – there were a lot of violations of human rights. But I don’t think there was anything comparable to what we’re seeing now with Mr. Erdogan and his vision of turning Turkey into a kind of a neo- Ottoman Empire with an Islamist ideology and a regional power that has aggressive relations with its neighbors in the Balkans, in the Caucasus, and, of course, very much so - in Syria. So this is a very dangerous combination of circumstances. RT: Even foreign comedians and journalists, as we saw in Germany just this week, are not safe from persecution. What is making Ankara so insecure here? JJ: To tell the truth, I don’t think its so much insecurity, I think it’s a question that Erdogan knows what he wants to do: he wants to be a master of all his surveys. I think the question you raised about the comedian, a German comedian, is quite indicative. Look at how the European media, particularly, Germany and Chancellor Angela Merkel have kowtowed to ‘Sultan’ Erdogan on the question of the migrant crisis throwing billions of euro at him in the hopes and, frankly, false promise that he will do something to stem the flow. I think he knows very much what he is doing. RT: What’s been the reaction from Turkey’s closes allies? Have they condemned the media crackdown? JJ: As far as I can tell, the criticism has been rather muted, but nothing serious. Again, nothing of the sort that would be leveled against Russia if Russia engaged in this kind of behavior. I think that they know that Erdogan has them in a very weak position, particularly, the European allies, and frankly, even the Americans. Our government is afraid of his behavior because as we know about his aggressive behavior in Syria: he’s always threatening to invoke Article 5 and drag us directly into the Syrian conflict. He really has many angles to play here.